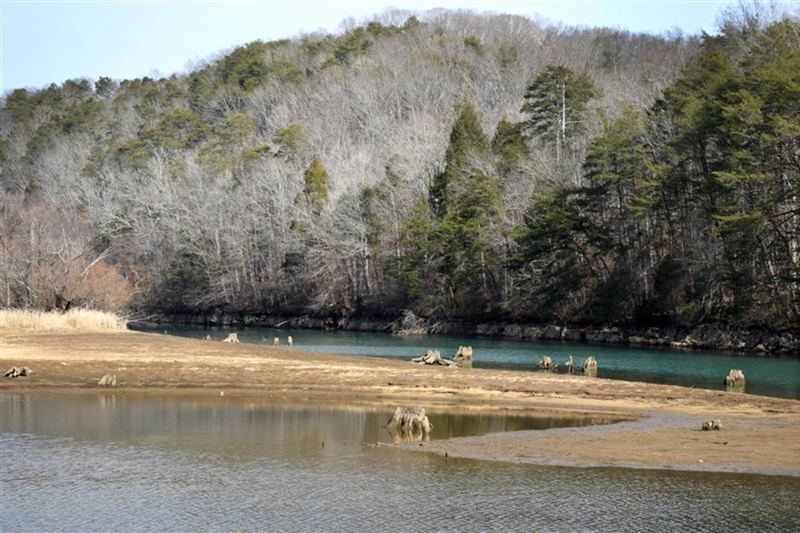 This spring-fed creek has plenty of fascinating history to accompany its relatively easy paddling. Paddling Sale Creek makes you feel as though you're taking a trip back in time. This spring-fed creek was home and hunting ground to Native Americans for thousands of years. 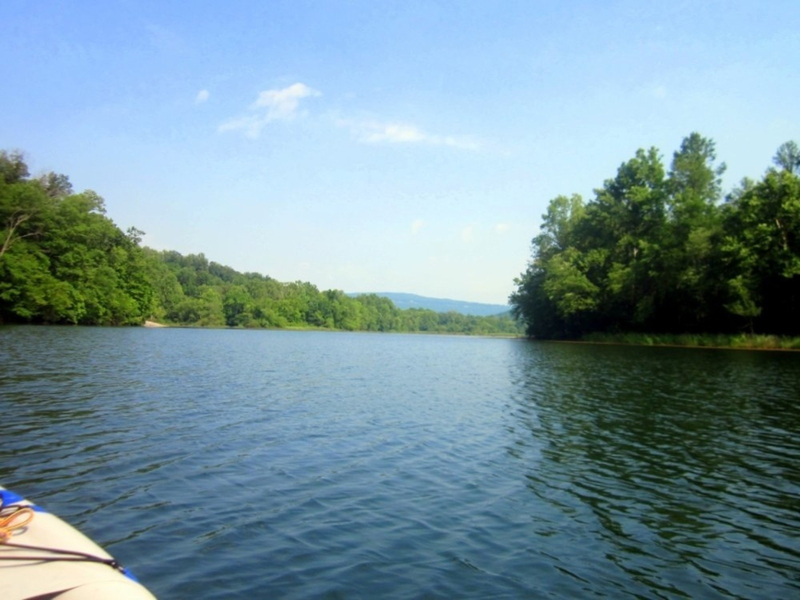 From the time the Tennessee Valley was first inhabited over 10,000 years ago, the Tennessee River and its tributaries were a highway for Native Americans. Sale Creek was a hunting ground for Native Americans in their dugout canoes until the 11 towns of the Chickamauga (Lower Cherokee) were burned by Evan Shelby's troops in 1779. Shelby's men named the waterway "Sale Creek" because it was there that they auctioned the goods and arms taken from the Indians. Be on the lookout, and you might find an arrowhead or some other Indian artifact along the creek when the water is low. The smooth water of Sale Creek allows you to paddle quietly between the hardwoods and pine on either side, providing excellent viewing opportunities for Great Blue Herons, Green Herons, Osprey, Bald Eagles, Kingfishers, Mallards, swallows and other wild birds. Water fowl sightings are more numerous in spring and summer, but the winter months provide more opportunities for seeing deer, especially in the early morning. While the view of Waldens Ridge in the distance is mostly obscured by the canopy of trees, you may be reminded of its presence when cool breezes drift through from time to time. In fact, when the water is high you can paddle underneath the Highway 27 bridge for another couple of miles toward the mountain, where the water is chilled and mist rises into the heat of the day. Relaxed paddlers who enjoy getting off the beaten path. Sale Creek Campground on May Road provides a safe launch with a dock. Launching from campground's ramp will cost $5/vehicle. 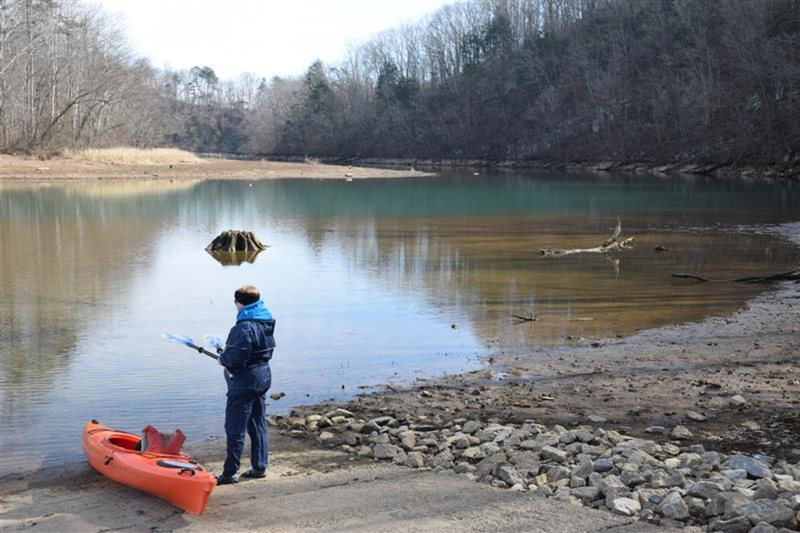 A free launch into the heart of the creek is available at a boat ramp at Patterson Cemetery, a mile down Patterson Road from Highway 27 in the town of Sale Creek. Follow the signs toward Sale Creek Campground and look for the cemetery on the left.